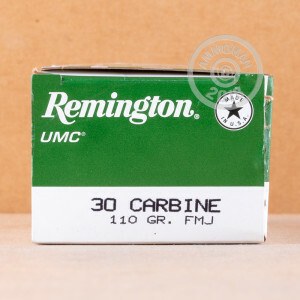 This ammunition from Remington's UMC division delivers economical shooting for your M1, Blackhawk, or other .30 Carbine rifle without compromising performance. 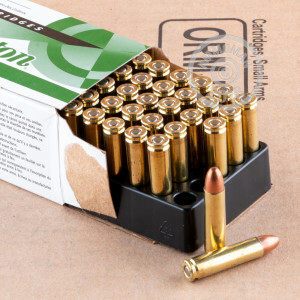 Each cartridge in this box of 50 fires a 110 grain full metal jacket ("metal case" in Remington jargon) bullet at nearly 2,000 feet per second. 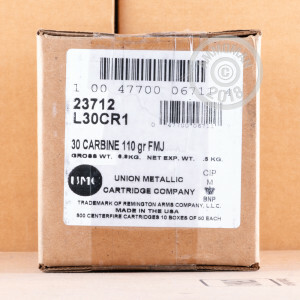 These cartridges, like all UMC ammo, use non-corrosive Boxer primers and reloadable brass cases. Place an order at AmmoMan.com today for $99 or more and get free shipping. That means you pay only the list price--no nasty surprises at checkout and no shipping calculators or package weights to worry about.